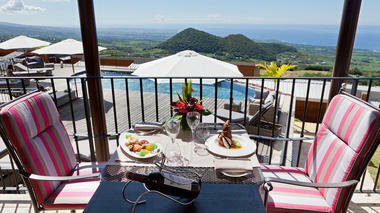 Located 600 metres above sea level, overlooking Sainte-Anne, in the midst of an enclosed 150-hectare hunting ground. 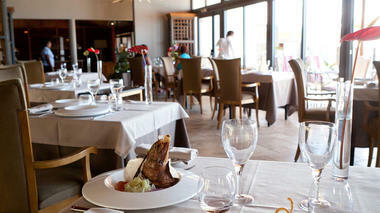 Diana Dea Lodge hotel restaurant serves European cuisine. Sophisticated cuisine with emphasis on local products. Open lunchtime, by reservation only, and evening, depending on number of guests staying in hotel.